We've got a fun sketch at Just Add Ink designed by Kim for your inspiration! I always love a good sketch because it can really give you some structure if you're not feeling the creative mojo and it can also provide a challenge if you want to push the boundaries a little. 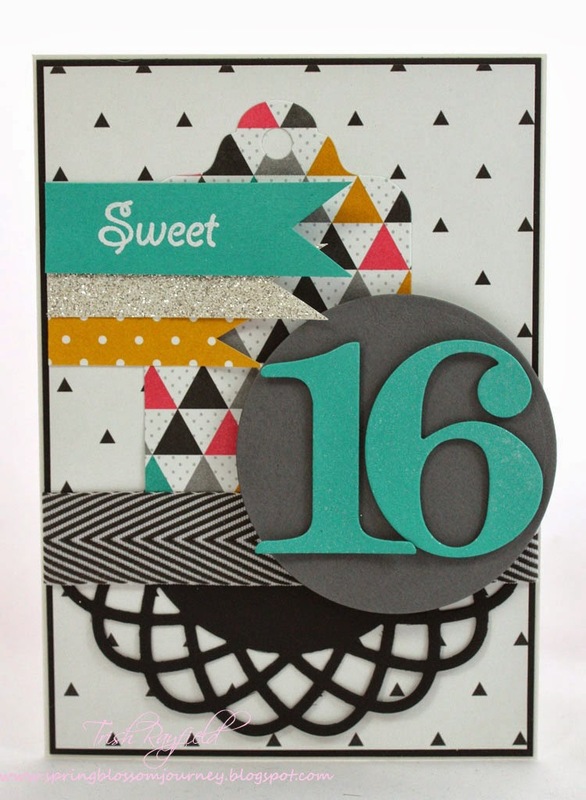 Recently I had a 16th birthday party to attend for a family friend and I wanted her card to be a little bit trendy. I hope I achieved that here using the Kaleidoscope dsp! 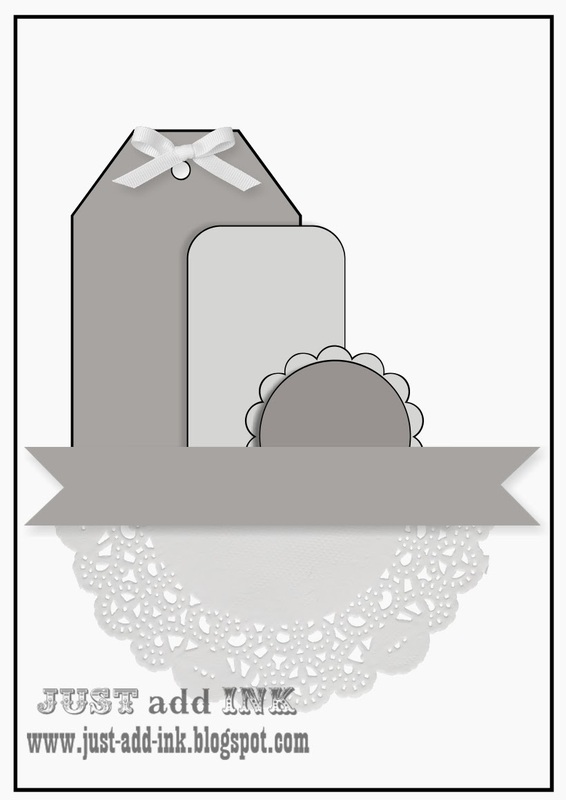 I think the black really makes the doily stand out but also modernize's it too! 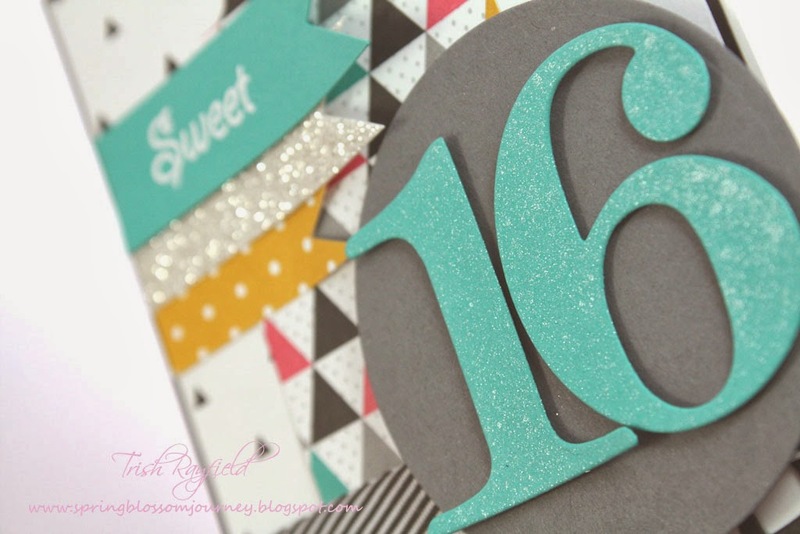 Of course I had to add some bling so I've used shimmer mist on the 16 and a little sliver of glitter paper as a banner. I really can't wait to see how you interpret this sketch so pop on over and add your entry. Also the design team have come up with some fabo cards to get your ideas flowing. Just Add Ink 205 - Just add a sunburst!